Dreaming of a seaside holiday with your family? Choose Hotel dei Pini in Alghero! 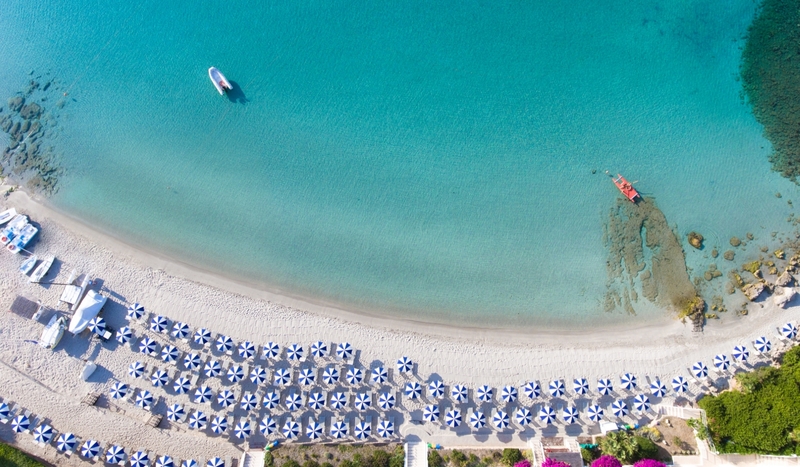 With its green spaces and private beach with very shallow water, Hotel dei Pini is perfect for a family holiday in northern Sardinia, with all of the comforts of a 4-star hotel and the magic of a seaside holiday. Alghero's wonderful Bombarde beach is rightly renowned for its crystal-clear waters and shallow sea bed, and for this reason our hotel, positioned just behind the shore, it is chosen every year by families with children, who can play and swim safely on the shore. The hotel offre also offers a Mini-club service to keep your children (aged 3-11) occupied with games and creative activities, while you sit back and soak up the sun on your sun lounger or at the poolside. Even at feeding time, your little ones will receive the same care and attention they would if they were back at home, with the option to prepare or heat up baby food for your youngest or to use highchairs and booster seats so that they can eat comfortably at the table alongside you. There are numerous activities that families can enjoy with their children in Alghero and in our hotel, starting with the option to hire pedals and dinghies, to organise a trip by catamaran searching for dolphins, or to have fun in the shade of the pine forest in the beautiful Le Ragnatele adventure park, just a short distance from our hotel. Also worth bearing in mind is the panoramic swimming pool immersed in the lush greenery, and the proximity of our hotel to Alghero, with its rich array of entertainment options for adults and children alike.